It’s ironic that those teams with the best developed user experience design prowess will likely struggle the most when they start to design for mobile. That’s because designing for mobile UX requires that we rethink everything we do, both on a day-to-day basis and for our long-term strategy. It touches every part of our UX work, from how we design our interactions, to how we integrate the devices. It affects how we figure out what to build and how we interact with the rest of our organizations. Who would’ve thought that something as small as a smartphone would have such a tsunami-sized ripple effect through our work? Desktop-based designs have a lot of freedom when it comes to delivering a solid way for users to navigate from one part of the design to another. The sheer number of available pixels means that icons, words, menus, toolbars, flyouts, and dropdowns are at the designer’s disposal without taking too much away from the user’s workspace. On a smaller screen, these options are quickly eliminated. Suddenly, the data of the user feels very cramped when we try to shove all that navigation into play. The mobile UX designer is now faced with hard decisions about what to include and what to leave out. Now it’s not just about designing the navigation. It’s about what functionality does the user get to have access to at all. The ripple begins. At first, it doesn’t seem like that big a deal. Touch is just like a mouse, only more direct, right? Well, not quite. A mouse points to a specific x-y coordinate on the screen. Touch is a whole raft of x-y coordinates. On something like an iPhone, you’re looking at a minimum of about 40 pixels that can fire when the user presses the screen. This means all those little mouse targets now have to be much bigger touch targets. And that’s only for one finger. Add multi-touch into the mix and you’ve got several of these things happening all at once. Gestures, such as swiping, never really caught on with mouse-based interfaces. Even trackpads used them minimally. However, with mobile, an entire language of gestures starts to emerge. Designers have to be fluent in the common dialects for the devices they use. For example, pull-to-refresh (a gesture where the user bounces the screen down from the top, then releases to update the data on the screen) started on the iPhone and quickly spread to many of the apps available on iOS. However, its minimal use on other platforms makes it unfamiliar to those users. That lack of familiarity means more design work to help users understand how to access that functionality. As the languages and dialects of touch emerge, designers need to keep on top of how their users’ expectations change. Now the ripple grows a little. At first, it seemed all that extra hardware was just a novelty. What could we do with that camera, accelerometer, mercury switch (which tells us which way is up), compass (which tells us which way is home), and GPS (which tells us which way is Starbucks)? Anything we did would bring a smile to our users faces. Not too distant of a past time these were toys to play with, now they are tools we’re expected to take advantage of. When USAA rolled out depositing checks by taking a picture and scanning the content, it was a delightfully fun feature that nobody had every thought of before. Now, bank customers are choosing a new bank account based on that feature’s presence. If you don’t offer it to your customers, they’ll open their account in a competitor’s bank that does. Scanning prescription bottles for refill information. Submitting pictures and GPS data for car insurance claims. Innovations are happening everywhere and becoming the standard for service. Designers must stay up to date on how their industry is taking advantage of these built-in tools and devices to add to new methods for customer input. Never mind innovating — just staying current is hard enough. Those ripples are looking pretty big now, aren’t they? At first, there were only a couple of smartphones we’d want to design for. We could catalogue their screen sizes and develop alternative designs to match. Then more came and then the resolutions increased. Suddenly, there were hundreds of different sizes and resolutions to deal with. What looked great on one screen looked like a puddle of poo on another. Detecting devices and working with hardcoded values is no longer an option (if one wants to pretend it ever was one). Designers need to start to think about every design in multiple sizes, with a plan as to how each one shifts when the breakpoint is traversed. The increase in resolutions means that images and fonts need careful consideration. Making the client device do all the work of deciding which to do, adds serious performance implications. The server side doesn’t always have the right information to decide. Designers now need to constantly monitor the best techniques in a wildly changing landscape of changing factors and methods. They need to expand their process to include the developers who will make all this a reality. It seems that ripple is becoming a more serious disturbance in the surface as it subsumes more folks in the organization. Whack! That’s the sound of the reality hitting a design team when they realize they can’t use the same exact content everywhere. Not only does a smaller screen beg for tighter, more concise content, but the way users retrieve and digest that content on the go begs for something different. What your car insurance policy does and does not cover may need a different amount of detail when you’re reviewing your coverage at your desk than when you’re standing in the auto-body shop being asked to write a check you didn’t expect. Now, designers need to work side-by-side with content authors, editors, and publishers to understand how the content development process works. They need to create tools to ensure that every variation is created and maintained. A process needs to evolve that monitors, updates, and retires content as the world around us changes. What was once a ripple is now officially a wave as it moves beyond just the design team. Spending months on detailed specifications and all-inclusive wireframes is a waste if the underlying ideas won’t meet the users’ needs or aren’t implementable. It’s critical that designers make the ideas in their head visible to everyone who can influence it’s outcome, to ensure everyone is on the right page. Prototyping, especially up-front sketching, is a huge strategic advantage for the best designers. Not just seeing what the screens will look like, but having a chance to play with the design, including all the pokes and swipes that make it sing, is what helps everyone see what will make the design magical. This means mastering a set of prototyping techniques and tools that have previously been considered just a luxury. Designers need to push aside that computer and grab the pad of grid paper. Fancy pens make it all special (though nothing beats a plain old Sharpie.) Was that a white cap we just spotted on that wave? Yes, I think it was. With the design space growing in complexity, the team needs to quickly learn what the users need and how they’ll interact with various design ideas. Traditional research techniques, such as usability tests, were never produced with mobility in mind. They don’t work well when users are on the move with handheld devices in complex situations. The team needs to invest more heavily on collecting user research, they have to learn new techniques for gathering that data. The hardware we use, the methods we choose, and the way we observe the sessions are all in flux. It’s one more thing for the designers to change about their practice. That wave is beginning to really rock the boat. It used to be easy to put on our blinders and only focus on our little digital design. Now, design teams need to understand what that total customer experience is about. For many, once we discover the overall customer experience, the opportunities for improvement jump out of every nook and cranny. Yet, to make those improvements, we need to involve people at all levels of our organization. Suddenly, we’re training teams of people who’ve never before thought about experience design to take apart and reconstruct how customers get the most from our business. That’s when the Tsunami sirens sound as the massive wave heads to shore. It’s a big deal. A really big deal. The pebble of the mobile phone hitting the market has grown into a massive, earth-moving force of nature that is fundamentally changing how we look at our design work. If your design team isn’t preparing for this change, you’ll be washed away when it makes land in your part of the world. Published here on December 6, 2012. 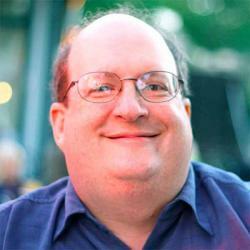 Themes: A Small Change to Product Roadmaps with Large Effects by Jared M. Spool Jared Spool investigates Themes, in which instead of promising to build a specific feature, the team commits to solving a specific customer problem.